The unprecedentedly high prevalence of Type 2 Diabetes Mellitus (T2DM) among Emiratis may be linked to a genetic inability to metabolize Vitamin D properly, research at Abu Dhabi’s Khalifa University has indicated. “The UAE has one of the highest rates of T2DM in the world and also one of the highest rates of vitamin D deficiency. This has often been considered a coincidence, but international research has been linking these two medical issues, and we sought to see if the Emirati genetic code had any answers to this association,” explained revealed Dr Habiba Al Safar, associate professor of Biomedical Engineering Department and Director of Khalifa University Center for Biotechnology. “Our results demonstrate a possible link between specific vitamin D receptor (VDR) in a common type of genetic variation among people and Type 2 Diabetes Mellitus (T2DM) in the Emirati population,” she revealed. Dr Al Safar recently co-authored a paper titled ‘Vitamin D receptor gene polymorphisms among Emirati patients with type 2 diabetes mellitus’ that was published in the Journal of Steroid Biochemistry and Molecular Biology. Their project involved a total of 355 Emirati volunteers, of which 264 were diabetic individuals and 91 were healthy individuals, all of whose genomic DNA was extracted and examined. The study sought to examine the association of VDR polymorphisms and T2DM in the Emirati population. A polymorphism involves one of two or more variants of a particular DNA sequence. The most common type of polymorphism involves variation at a single base pair, called single nucleotide polymorphism, or SNP. SNPs in the human genome are believed to correlate with disease, drug response, and other observable characteristics of an individual resulting from the interaction of its genotype with the environment. “The results suggested that a specific cluster of SNPs is associated with the susceptibility to Type 2 diabetes in the Emirati population while another cluster provides a degree of protection from it,” Dr Al Safar said. The presence of the beneficial or the detrimental inherited SNP cluster – called a haplotype -- may be due to the specific racial mixes of individuals, and requires further studies to confirm its origin and role. 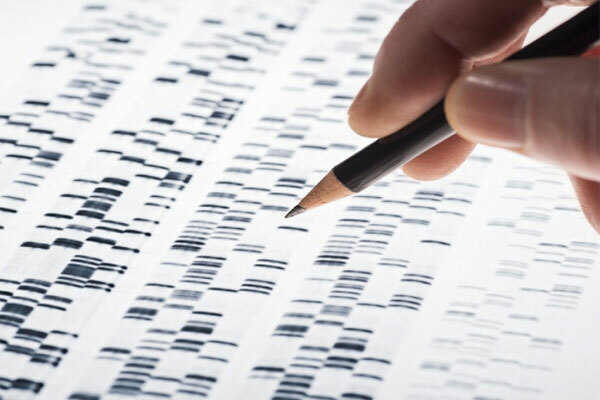 By examining haplotypes, scientists can identify patterns of genetic variation that are associated with health and disease states. The research also found that a specific cluster of SNPs influenced total cholesterol and low-density lipoprotein, suggesting it may play a role in the progression of diabetes and its complications. The project follows on research into a link between vitamin D receptors and Type 2 Diabetes that have been taking place around the world. In Saudi Arabia, a recent study found that VDR genetic variants were significantly associated with T2DM as well as cholesterol disorders that are often associated with type 2 diabetes – dyslipidemia, hypertriglyceridemia, and low high-density lipoproteins (HDL) levels. Similar results have been found in Caucasians in of European descent, but explorations in Indian, Turkish and Chinese populations have not been able to reproduce such findings. This has led scientists to believe the genetic VDR-TD2M link may only appear in certain population groups. Humans receive vitamin D partially through diet but mostly from exposure to the ultra-violet radiation from the sun, which allows the body to produce its own vitamin D. It is used by the body for many functions, like bone metabolism, immunity, nerve function, and now scientists believe it may also play a role in the function of pancreas and insulin sensitivity, malfunction of which are linked to diabetes. The next step for this research is to perform validation studies in other ethnic groups. Dr Al Safar is also looking to expand the cohort size to confirm the project’s findings. The goal is to confirm the identified genes, so they can be added to diagnostic panels for use in clinic to improve diagnoses and treatment of T2DM patients.